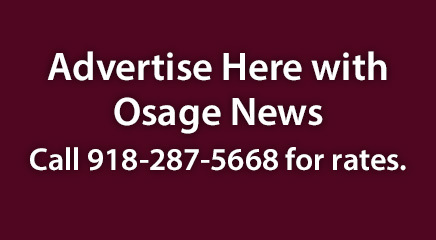 GRAYHORSE VILLAGE, Okla. – After the 2019 In-Lon-Schka dances, Osage Nation officials and village committee members here will begin efforts along with construction professionals to remove and replace the aging community building with a larger one. Grayhorse Village and nearby Fairfax Osages listened to updates on the community building plans on Jan. 9. 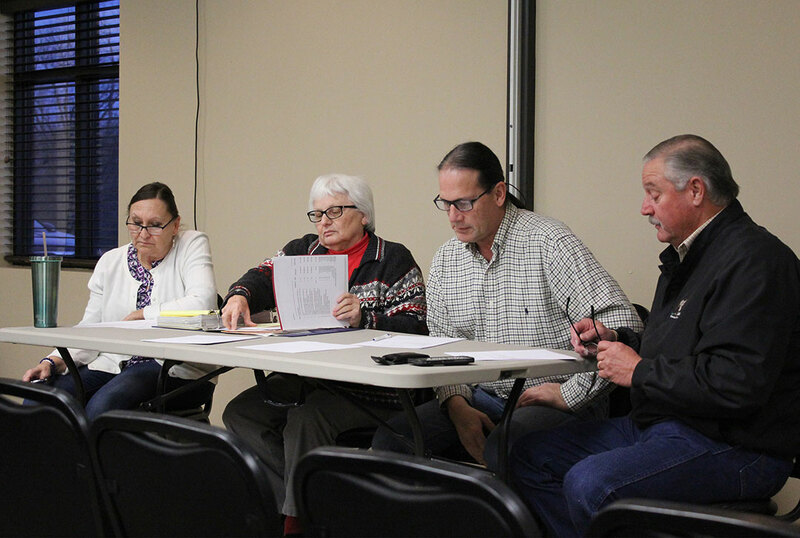 The Grayhorse Village Committee (also called the five-man board) held the meeting and invited ON government officials and architects who are working on the preliminary plans to discuss updates. The Grayhorse In-Lon-Schka is typically held at the beginning of June and plans call for the Nation to start moving out of the current building on June 12 before demolition work starts. Tulsa architects Jay and Dayna Boynton attended the meeting and told the approximately 25 attendees the new building will be constructed on the same spot next to the dance arbor. Plans call for the building to measure 10,000 square feet, which will seat approximately 330 people for meals and other cultural events held in the community building, said Dayna Boynton. The building’s industrial kitchen will have new appliances and other amenities, including office and storage space. During the village meeting, Principal Chief Geoffrey Standing Bear said prior meetings with the Boyntons included raising concerns, such as keeping smoke from the outside cooking area away from the dance arbor, which is just footsteps from the current building. Tulsa-based Builders Unlimited Inc. is selected to construct the building and its President Steve Wright told attendees the cook shed will be larger than the current one. Builders Unlimited has also constructed other ON projects including the updated Grayhorse village restrooms, the Fairfax Child Care and Senior Center, the Osage Veterans Memorial in Pawhuska, and the Hominy Village’s dance arbor and community building. Wright said the new community building will be built up to fire code with a new sprinkler system and above-ground tank to hold the water. Plans for the new community building have stretched two years with the Village Committee and ON officials addressing issues first including whether to construct the new building at another location and how to address flooding issues due to inclement weather. Village Committee Chairman George Pease thanked the ON officials for working with the committee on the planning and issues that arose leading to delays for constructing a new building. Village committee members and residents have stated over the years a new building is needed to replace the current one, which sustained roof damage caused by severe wind and storms. The ON Congress passed two appropriation bills totaling nearly $3 million for construction and design costs with the second one passing in September 2018 to appropriate additional money for constructing the building situated on a hill, to cover additional dirt work needed to support the larger structure. For flooding concerns, the Boyntons said an underground storm drainage system is planned to take the water around the building to drain downhill. A similar underground system is built at the new Hominy Village Square where flooding was also an issue during its respective In-Lon-Schka dances. In the meantime, before the Grayhorse In-Lon-Schka, ON officials and the construction officials will continue reviewing work plans, ordering building materials and developing a building schedule to determine a planned finish date before the 2020 dances. After the current building is demolished and construction on the new one starts, Casey Johnson, director of operations for the Executive Branch, said cultural events and meals may be held in the Fairfax Child Care and Senior Center building, which has a shared kitchen and meeting space.